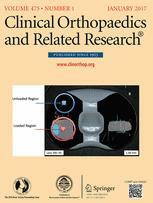 Many patients develop recurrent periprosthetic joint infection after two-stage exchange arthroplasty of the hip or knee. One potential but insufficiently tested strategy to decrease the risk of persistent or recurrent infection is to administer additional antibiotics after the second-stage reimplantation. (1) Does a 3-month course of oral antibiotics decrease the risk of failure secondary to infection after a two-stage exchange? (2) Are there any complications related to the administration of oral antibiotics after a two-stage exchange? (3) In those patients who develop a reinfection, is the infecting organism different from the initial infection? Patients at seven centers randomized to receive 3 months of oral antibiotics or no further antibiotic treatment after operative cultures after the second-stage reimplantation were negative. Adult patients undergoing two-stage hip or knee revision arthroplasty for a periprosthetic infection who met Musculoskeletal Infection Society (MSIS) criteria for infection at the first stage were included. Oral antibiotic therapy was tailored to the original infecting organism(s) in consultation with an infectious disease specialist. MSIS criteria as used by the treating surgeon defined failure. Surveillance of patients for complications, including reinfection, occurred at 3 weeks, 6 weeks, 3 months, 12 months, and 24 months. If an organism demonstrated the same antibiotic sensitivities as the original organism, it was considered the same organism; no DNA subtyping was performed. Analysis was performed as intent to treat with all randomized patients included in the groups to which they were randomized. A log-rank survival curve was used to analyze the primary outcome of reinfection. At planned interim analysis (enrollment is ongoing), 59 patients were successfully randomized to the antibiotic group and 48 patients to the control group. Fifty-seven patients had an infection after TKA and 50 after a THA. There was no minimum followup for inclusion in this analysis. The mean followup was 14 months in the antibiotic group and 10 months in the control group. Patients treated with oral antibiotics failed secondary to infection less frequently than those not treated with antibiotics (5% [three of 59] versus 19% [nine of 48]; hazard ratio, 4.37; 95% confidence interval, 1.297–19.748; p = 0.016). Three patients had an adverse reaction to the oral antibiotics severe enough to cause them to stop taking the antibiotics early, and four patients who were randomized to that group did not take the antibiotics as directed. With the numbers available, there were no differences between the study groups in terms of the likelihood that an infection after treatment would be with a new organism (eight of nine in the control group versus one of three in the treatment group, p = 0.087). This multicenter randomized trial suggests that at short-term followup, the addition of 3 months of oral antibiotics appeared to improve infection-free survival. As a planned interim analysis, however, these results may change as the study reaches closure and the safety profile may yet prove risky. Further followup of this cohort of patients will be necessary to determine whether these preliminary results are durable over time.